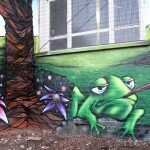 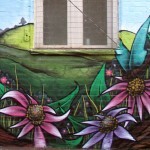 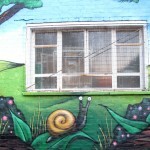 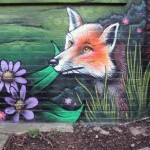 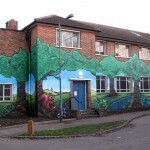 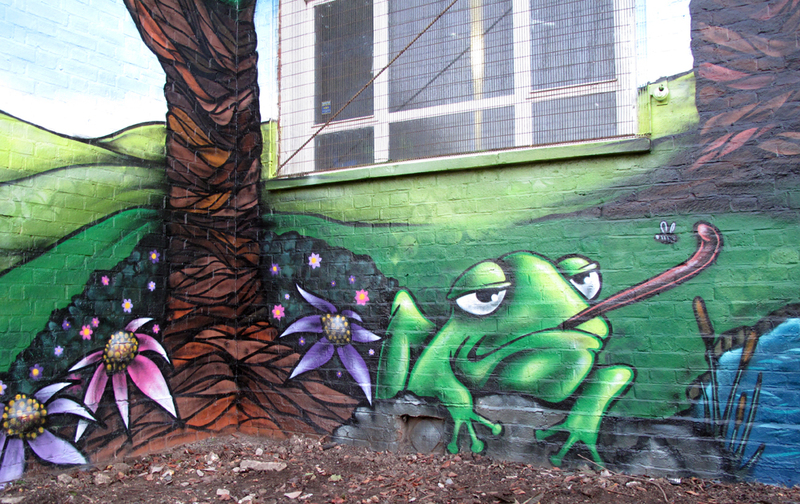 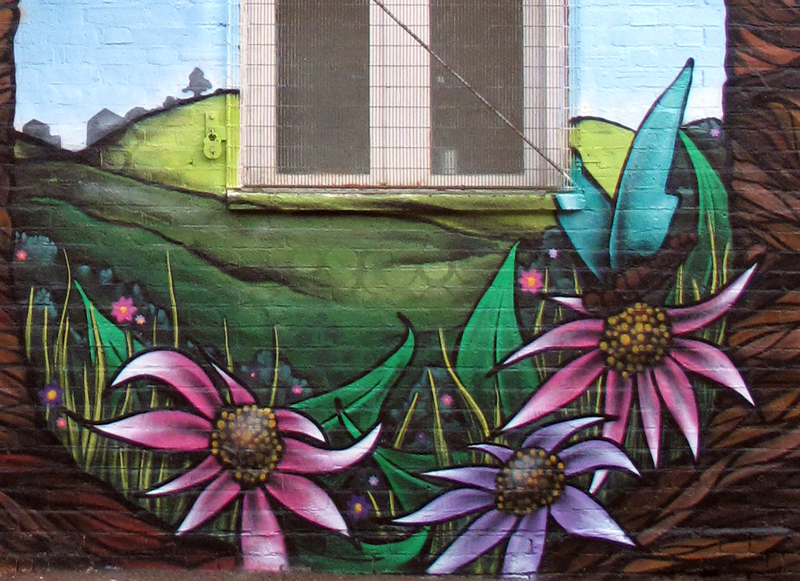 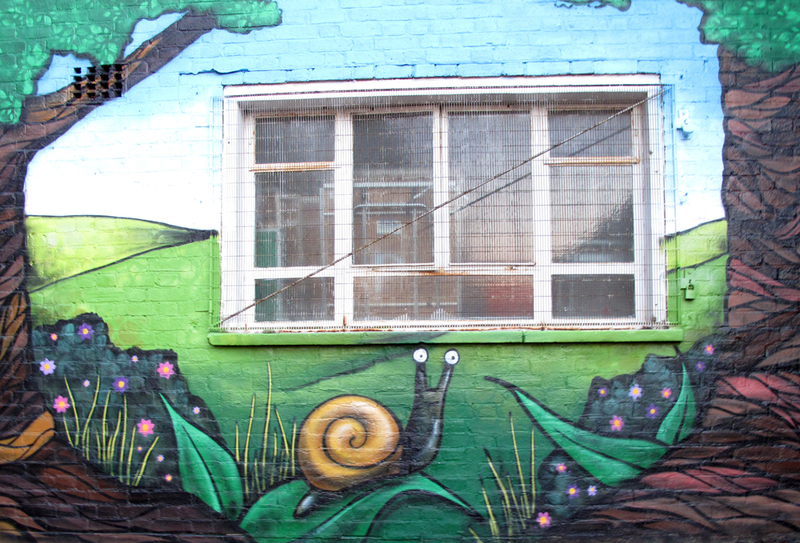 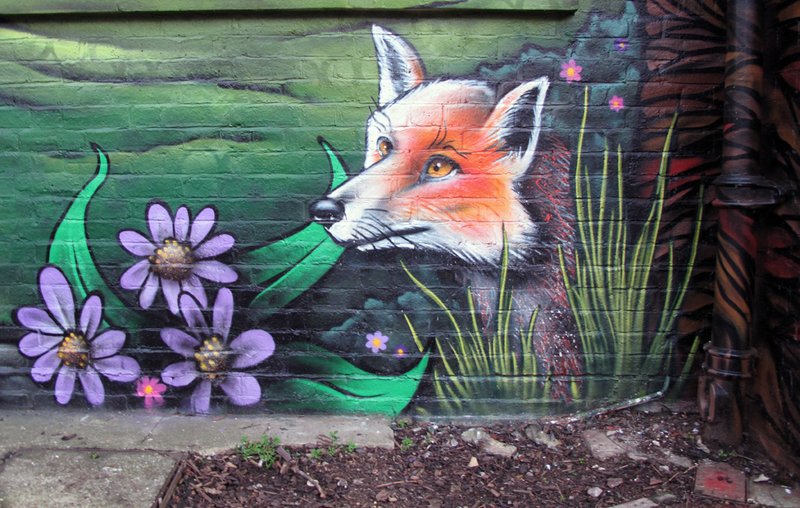 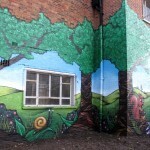 On the Meadows Estate young people have been working with an artist to plan a mural for the community centre. 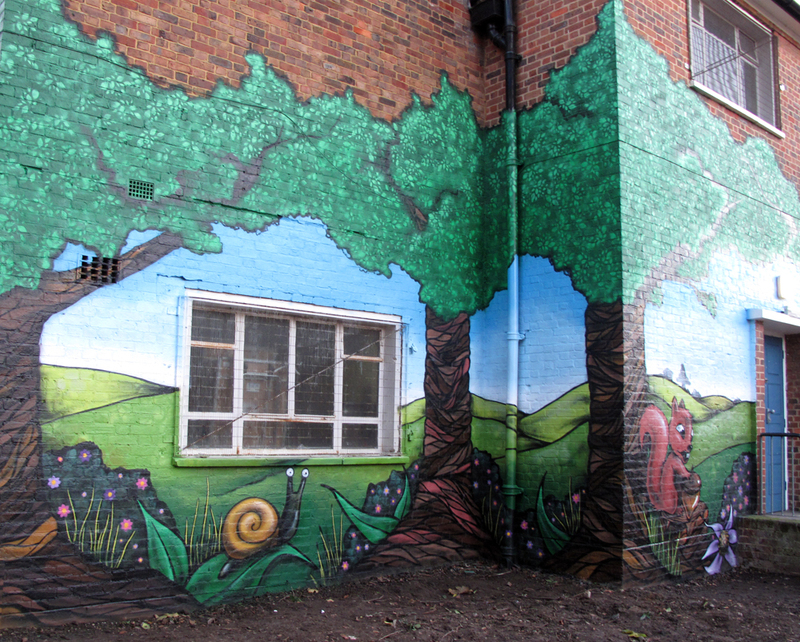 last October artists from AeroArts, Phoenix staff and young people from the community have worked together over two weekends to paint a vibrant and exciting mural on there community building. 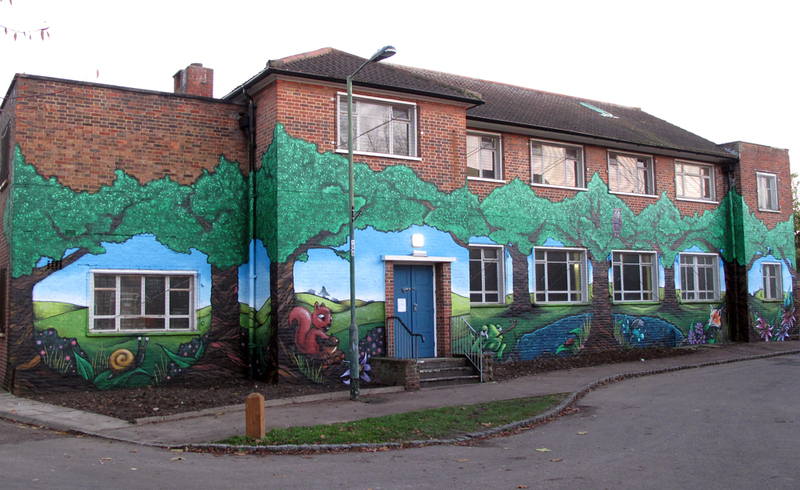 painting fish, frogs, foxes, squirrels, insects and flowers with tree branches that cascade across the front of the community centre.Funding for the mural came from the Dulux ‘Colouring the Community’ scheme, with support from the Area Panel and the mural artist who worked so well with the young people was James from AeroArts.Lots of thanks to all of those from the estate that came along to help, and make this a real local community scheme.